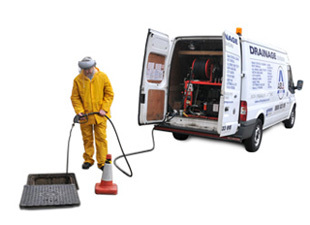 At Able Drainage UK we specialise in all types of drainage problems including drain repairs, blocked drain cleaning via drain jetting and manual rodding, drain excavation and drain descaling. Our local drainage engineers are able to deal with any drainage problems or drain service you may require through our professional 24 hour drainage solutions. As a professional drainage company we realise that your time is valuable and as such we take great effort to ensure that our vans are always fully stocked with the most commonly used parts. For all non-stock drainage equipment we offer our premier express service so that you can be assured that your drain repairs will be completed as soon as possible with the minimum of disruption. With fully trained and qualified drainage engineers throughout the UK we pride ourselves as being one of the areas premier 24 Hour emergency drainage companies. With drainage experts only 30-90 minutes away*, we are ready to handle any type of emergency and non-urgent drain services you require, 24 Hours a day, 365 days a year.